Waterford manager Tom McGlinchey believes his underdogs have little chance of upsetting Tipperary this weekend in the Munster Championship, but has sympathy for his counterpart Liam Kearns. The sides meet on Saturday for the right to face Cork in the provincial semi-final, with few expecting Division 4 Waterford to get the better of a side that harboured serious ambitions of promotion to the top tier of the League and is being tipped by many to reach the inaugural Super 8s. Last month Kearns hit out at the scheduling his team faced, with Tipp poised for back-to-back fixtures should they emerge victorious at the weekend. Speaking to RTÉ Sport, McGlinchey said he does empathise with his friend, but doesn’t see Waterford getting the better of their neighbours. "Let’s be realistic here, Tipp are probably going to beat us and beat us well," he said. 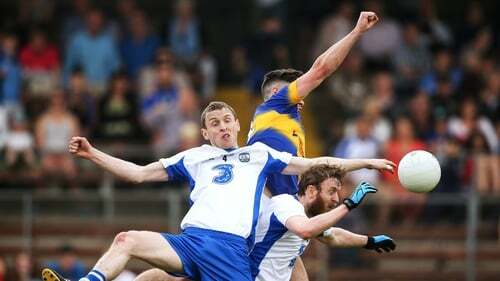 "In fairness to Liam he probably has the nuisance of having to play us seven days before he plays Cork as he said. I'm saying that because I know Liam Kearns for 25 years, I'm friendly with Liam, this isn't just having a go at Liam. 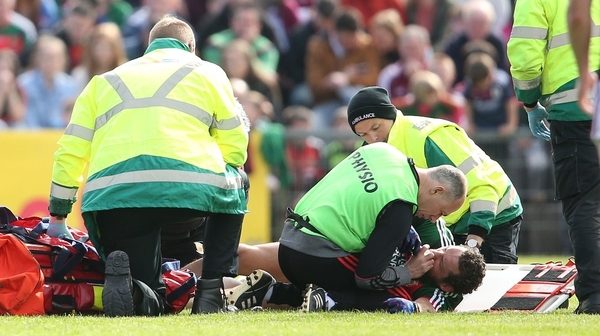 "Of course there is no talk about us because realistically we shouldn't be beating Tipperary. "I suppose the fairest thing to do is if we just gave the walkover. It wouldn't be the first time there was a walkover in Championship in the last 15 years. There is a new format this year in that there has to be extra time. If the game had been a draw you might have to play the following week and the week after. "Liam made his point and I can see where he is coming from, but I don't think he needs to worry about Waterford." The form lines are contrasting coming into the fixture. Only winless Wicklow finished below Waterford in the bottom tier of League football – their sole win coming on the final day in Ruislip – while Tipp were in the mix for promotion until their one-point defeat to Cavan in their final group outing. Being rank outsiders is nothing new to the hurling-dominated county, and came within a whisker of shocking Cork last year until McGlinchey’s side simply ran out of time in the one-point defeat at Fraher Field. "It will serve as motivation, but McGlinchey is realistically looking towards the qualifiers for the chance to record a victory. "I suppose Cork were the same and I won't say they took us for granted, but weren't as up for it as they should have been and nearly got caught out. Will it happen against Tipp? I doubt it. "Hopefully it will. I doubt it, the lads put in a great effort last year, but that was 2017. "It is 2018 now, we have new fellas in the panel so it is going to be hard. Realistically we are looking for that elusive win in the qualifier. The club restructuring has allowed McGlinchey an extra week to prepare, but he will be without captain Paul Whyte and forward Donie Breathnach, who hit six points against the Rebels last year. "Donie is a mature student and went back to Dublin to do a Masters course. He tried to play and came on in two of the League games, but he just couldn't commit to it." "We are hoping to put up a good performance against Tipperary and see how the year pans out after that"
The short-term focus is Saturday and while defeat wouldn’t be the end of the world, a performance is essential is Waterford are to make any inroads in the qualifiers. "We just want to win a game, it doesn't matter who it is. Obviously if it is Tipperary it would be a scalp, but it is all about winning a game. That is what we are hoping for this year, to put up a good performance against Tipperary and see how the year pans out after that."